1. Prevention is the best cure. Prevention is the challenge, but also the best solution. Make bedtime a comfortable and safe experience for the child. Spend time with him at bedtime, reading and otherwise helping him to relax. A soothing bedtime ritual might also include a relaxing bath, a gentle massage, a warm mug of herbal (caffeine-free) tea, or even something as simple as being tucked in with regular hugs and kisses. 2. Discuss your child’s dreams with her. 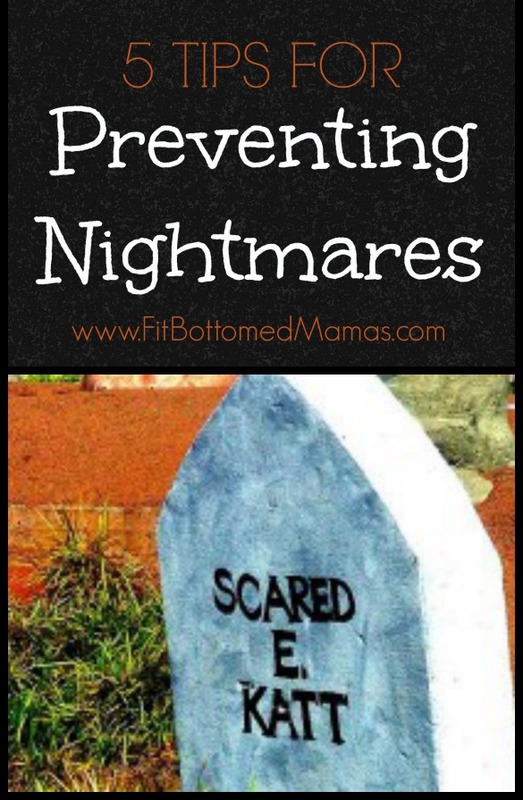 If your child experiences frequent nightmares (several a month), you may want to work with him during the day to try to determine what underlying fears may be causing them and then to try to resolve the trouble on that level. What is the child actually afraid of? Discussing the content of the dreams with the child can help shed insight into this critical question. Once you know what your child is afraid of—whether it’s spiders or the possible death of a parent—you can then focus your attention on that fear, rather than the nightmare. Once the fear precipitating the nightmares goes away, it is entirely possible that the nightmares themselves will as well. 3. Examine your child’s daily routine. In addition to discussing the content of your child’s bad dreams in an effort to uncover their cause, it may also be worthwhile to review the content of your child’s daily life. Might there be something happening at home or school or elsewhere in your child’s daily life that could be causing enough distress to possibly lead to bad dreams? Also, monitor the television programs and movies your child watches and the video games your child plays so as to avoid those that might be too scary, violent or otherwise disturbing. 4. Discuss your child’s daily life with her. By age 3, your child can begin to talk directly with you about any concerns and worries that could be triggering nightmares; then you can offer reassurance and guidance for dealing with those causes. Allow your child, at any age, to express feelings in appropriate ways. Try to assure your child that his feelings are understandable and normal. It is important to maintain open communication with him by expressing your willingness to discuss any concerns he may have, no matter how difficult or touchy the issue may be. If your child has difficulty expressing either the content of the nightmares or the concerns in waking life that could be causing them, consider exploring these issues in more creative and less explicit ways, for example by drawing or playacting. 5. Speak with a doctor if it seems necessary. A nightmare disorder occurs when frequent and repeated nightmares continually disrupt a child’s sleep. If the nightmares continue even after you’ve employed measures to end them, it may be helpful to discuss your concern with your child’s doctor.